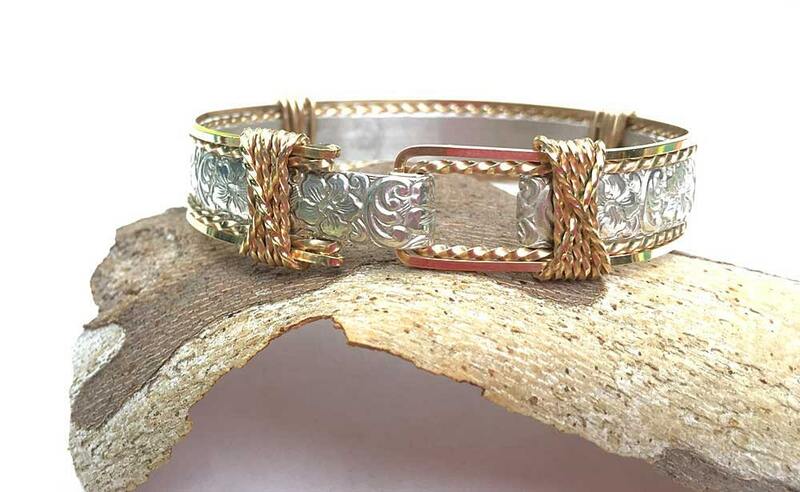 This beautifully handcrafted bracelet is a great gift for either men or women. 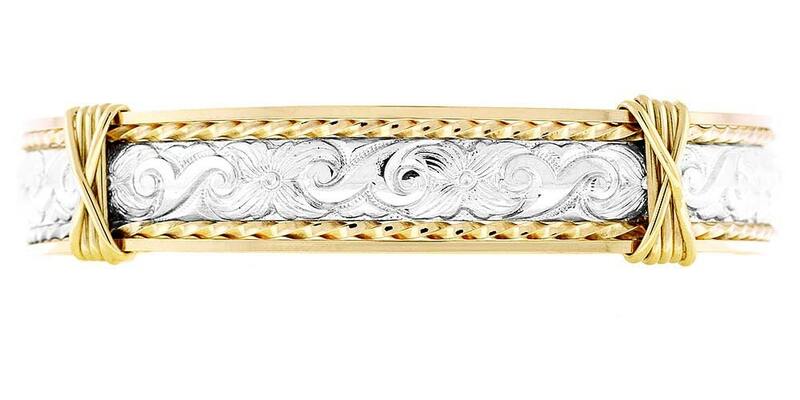 The sparkling two-tone clasp bracelet is designed with a clasp that looks like a buckle. 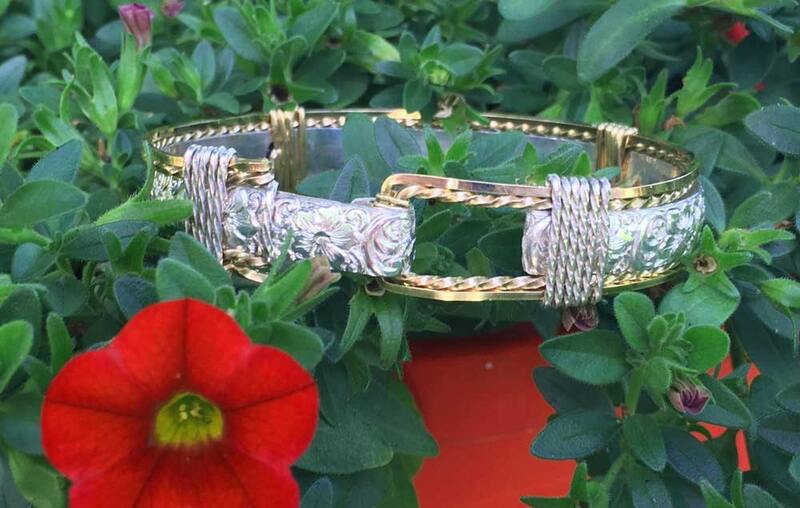 You can actually turn the buckle to the top of your wrist and have a totally different bracelet. 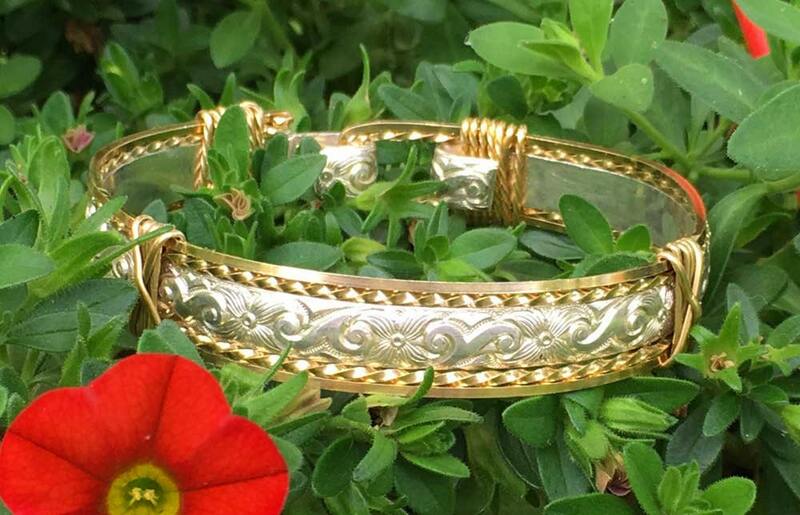 Each Bracelet is set in luxurious 12 Karat Gold Wire with a heavy band of sterling silver that is embossed with the traditional western floral design. Every item we create is hand crafted especially for you. 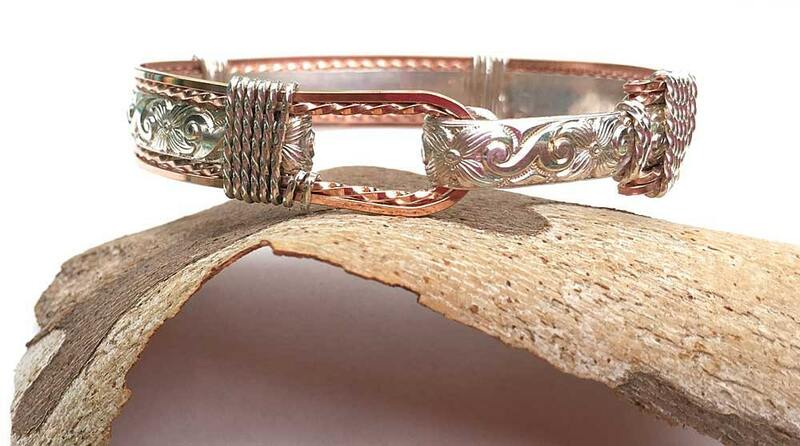 Also available in Rose Gold and Sterling and All Sterling Silver.